Please install node.js and npm package manager globally using option "-g” as it can be used in other places for different projects. - node.js can be installed from https://nodejs.org/en/. npm is installed as a part of the node. Install gulp (http://gulpjs.com/). You can build the project using it. I have installed gulp locally and globally so you are seeing CLI version and Local version. You may see only CLI version. 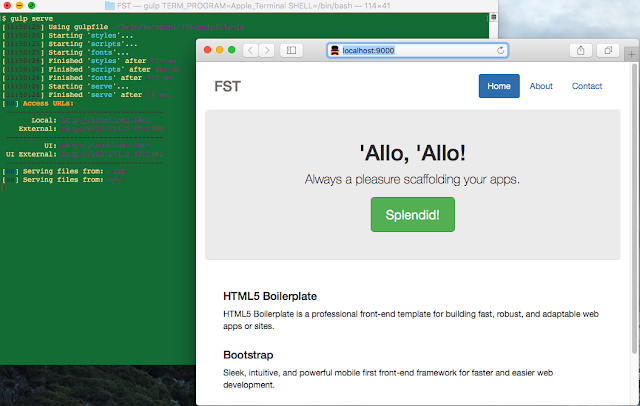 - Check the project structures. 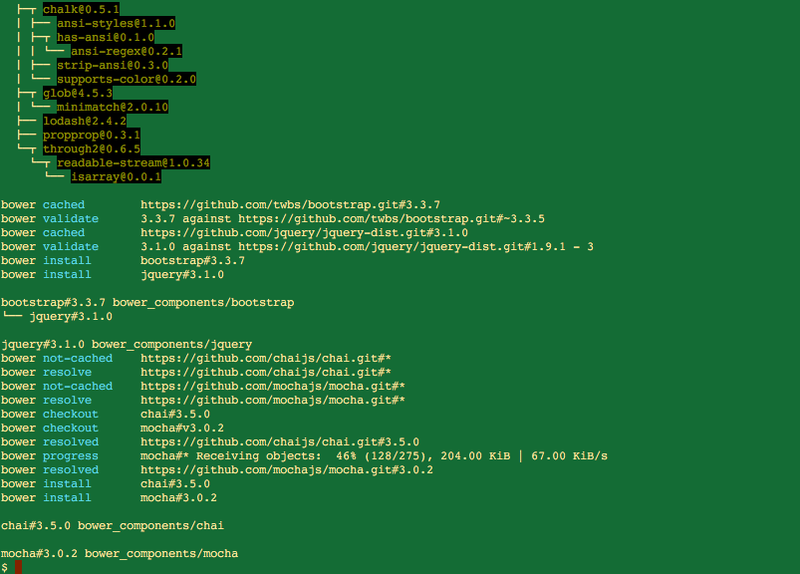 Since the generator already run "npm install" and "bower install", so you can see the node_modules and bower_components folder with all the installed modules. 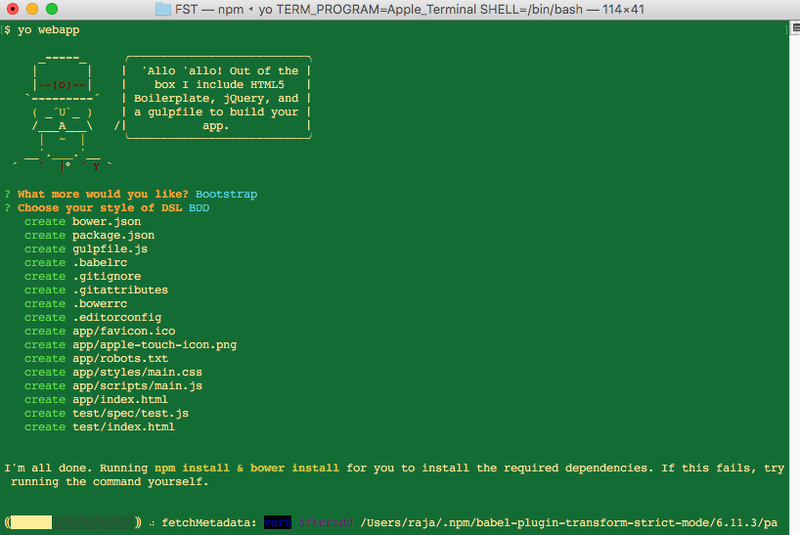 ** Any other modules need to be installed for your project then add them to respective package/bower json file and run npm/bower install. ** Server will be starting and listen at 9000 port. 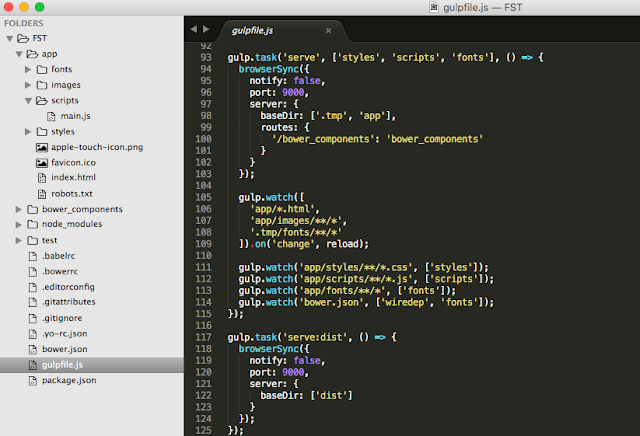 You can change the port in gulpfile.js file if you want.